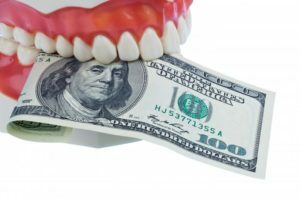 Why a Dentist Says It’s Time to Use Dental Benefits Now! Whether you have private dental insurance or you get it from your employer, the last thing you want to do is let it go to waste. Every year, dental benefits expire, meaning you will have paid money into a service you never even got the chance to use. That’s why the fall season is the perfect time to make sure that you’ve taken full advantage of all your benefits. More importantly, you’ll be doing your long-term oral health a favor as well! Maximizing your benefits now not only allows you to utilize the services you paid for, but it also helps you understand your plan more clearly in the future. For many, understanding health insurance is like reading another language. When you understand the key parts, including the explanation of benefits (EOB), your annual maximum, and if the dentist you’re seeing is in-network, you’re more likely to get the treatment you need and less likely to have your claims denied when it’s time to pay. A great way to better prepare for payment is to receive a pre-determination of benefits before you need a procedure done. This form tells the insurance company to send a statement showing exactly how much the treatment is covered by insurance. To do this, ask the dentist to send this document to the insurance company before you start treatment. 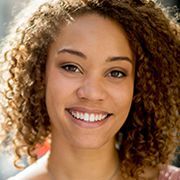 Even though insurance companies make money when people don’t utilize their benefits, most dental plans make it easy to get preventive services paid for. This is because preventive services are the most effective solution to preventing dental disease outside of your at-home oral care routine. Services like annual exams and X-rays, cleanings and fluoride treatments are typically covered 100 percent. Of course, dental plans don’t stop there. They also tend to cover a significant portion for some restorative treatments, including fillings, crowns and root canals. This usually ranges in the 80 percent range. Insurance also helps you cover dental emergencies, which can get very expensive depending on their severity. Routine dental visits help you maintain a clean mouth throughout the year and confirm that no dental disease is present. However, these aren’t the only benefits you can expect by visiting regularly. You’ll also get the chance to confirm no other markers for systemic disease are present, such as heart disease, diabetes, malnutrition, oral cancer or osteoporosis. These issues become increasingly important to consider as you age, making routine visits only more essential the older you get. If you’re a younger patient, making sure your teeth are developing correctly is crucial to long-term oral health as well. Ready to maximize your dental benefits and keep a healthy mouth? Schedule an appointment today! Dr. Jane Reeves earned her DDS degree from the University of Texas Dental Branch at Houston. If you have any questions about your insurance plan or benefits, her team is more than happy to walk you through it and answer any questions you may have. 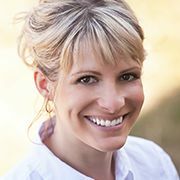 To learn more about her practice, you can contact her through her website. Comments Off on Why a Dentist Says It’s Time to Use Dental Benefits Now!